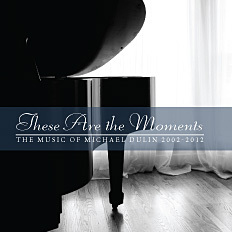 These Are the Moments is a generous collection of 16 of Michael Dulin's most requested original songs and arrangements from six of his releases from 2002 – 2012. The CD is a whopping 1.2 hours long and includes a completely new song,Winter Dreams, featuring music by Dulin and the lyrics written and sung by sensational new singer Jeania Major. Major's powerful soprano voice and Dulin's music make this stellar CD to a stunning climax. Whether you are already fan of Michael Dulin's music or have yet to discover him, These Are the Moments is a MUST-HAVE CD!